It will take some time for your mouth to adjust to the new braces. After a few weeks, your mouth will get used to the braces and become tougher. You'll often forget they're even there! A salt wanter rinse can provide short-term relief for oral discomfort. Stir ½ a teaspoon of salt into a cup of warm water until the salt has dissolved completely. Take a mouthful of this solution and swish for about 30 seconds, then spit it out into the sink. Repeat until the salt water is gone. You can do this as often as you feel is necessary. If saltwater doesn't help, try a hydrogen peroxide mixture for a similar effect. Mix the liquids in a glass, and swish mouthfuls for about 30 seconds at a time and then spit, until the glass is empty. Dental wax is the most common barrier style product. It works by creating a barrier between the inside of your mouth and your braces, thereby reducing friction and allowing the irritation and sores to heal. Brush your teeth so that the area to which you apply the wax is clean. Take a small piece of wax (just enough to cover the offending wire or bracket) and roll it into a little ball. This will make it more malleable and easier to apply. Press the ball of wax onto the bracket or wire that is causing discomfort. Massage the wax into place. It should form a small bump overtop of the bracket or wire, preventing further friction. 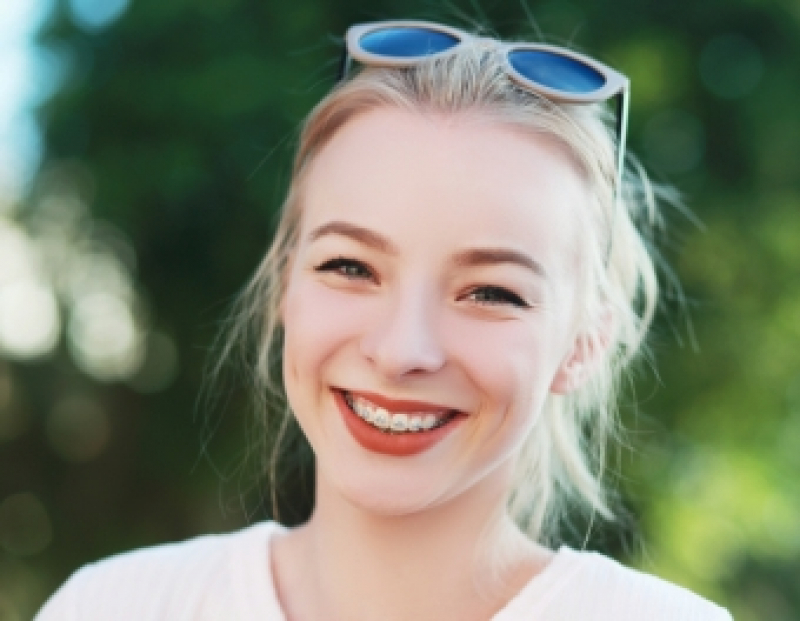 Lip protectors, flexible “bumpers” that cover your braces from end to end, will shield your lips and gums from your braces. GUM® Canker-X is an aloe vera-based gel that treats canker sores, mouth sores, as small cuts and abrasions by forming a barrier that both heals and protects. Comfort Brace Protective Strips look a lot like teeth whitening strips, and function to shield the inside of your mouth from your braces, giving it a chance to heal. This aloe vera-based mouth sore rinse helps promote the healing of irritation caused by braces, and provides pain relief for up to 6 hours. Contact Coquitlam Family Orthodontist today for more information about how to deal with soreness and discomfort caused by your braces.